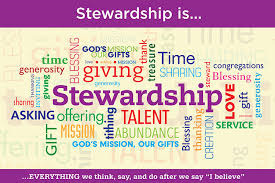 Through stewardship of our financial resources, we give to God out of our gifts because God touches and transforms our lives. Giving our money to God for the ministries of the church is one key piece of our discipleship and one way we live our faith throughout the week. Only you can decide. The Biblical standard is the tithe, which is ten percent of your income. Presbyterians also think about proportional giving - purposefully setting aside a percentage of your income each year, with the aim of eventually reaching a tithe. For example, if you're giving $3,000 and your income is $60,000, you are offering 5% in gratitude to God. Next year, God may lead you to increase to 6%, by giving $3,600. And some people find that God calls them to give even more than 10% out of hope and joy for all that God is doing in the world. What if I can only give a little? Everyone who wants to be involved in the life and ministry of First Presbyterian is welcome. Period. Whenever we give our money, we take a risk. We trust that God will make sure we have enough for us and our families. We trust that making a sacrifice to serve God will help us grow spiritually. We trust that a simple life is a blessed life, no matter what the culture says. We welcome your online donations. Please add a note to your donation for its purpose so we can direct it accordingly. With no donation direction information, it will go to the General Fund. Also, members of First Church of Warren are advised not to use this online donation method to make pledge payments. There is an approximate 3% charge to First Church to process your pledge payment. You are requested to use auto bank payments for this purpose as it does not cost the church and provides a convenient, regular payment method. A: Yes, the site is secure and is managed by the Presbyterian Foundation of the Presbyterian Church (U.S.A.). Q: What is the benefit of this option? A: Online Giving simplifies your contributions by decreasing the number of checks you write to the church. No more last minute check writing or forgetting your envelopes. This option also helps the church by ensuring consistent donations throughout the year, particularly in the usually lower-attended summer months. With online giving, you can also give anytime during the week if you happen to miss church on Sunday. A: Click the "Give Now" button on the top of this page. You will be taken to our Fund Page and from there, you click "Give Now" once more. Then enter your information to make your gift. Q: What methods can I use to give? A: The page will accept both direct debit from your checking account or debit cards. We do not recommend the use of credit cards as no one should go into debt to support the church. A: There are small fees associated with online giving that simply cover the cost of the service. With direct debit, the fee is just 1% of your whole transaction. With debit cards, the fee is closer to 4%. The church will absorb this fee. However, if you would like to cover the fee so that the church receives your entire gift, you may add that percentage onto your total gift amount. Q: Can I try online giving to see if I am comfortable with it? A: Yes, you can submit a one-time gift and see how you like it. Or, you may set up recurring payments so that you don't have to worry about logging in each month or week. Q: Can I still give to special offerings and can I do that online. A: You may give to special offerings, but this cannot be done online at this time. Online gifts only support the ministries of the church and our regular budget. Gifts to special offerings may be given by cash or check on Sundays or through the church office. Q: Will I still receive a giving statement at the end of the year? A: Yes, you will receive a giving statement in the same manner as those who give offline at the end of each year.